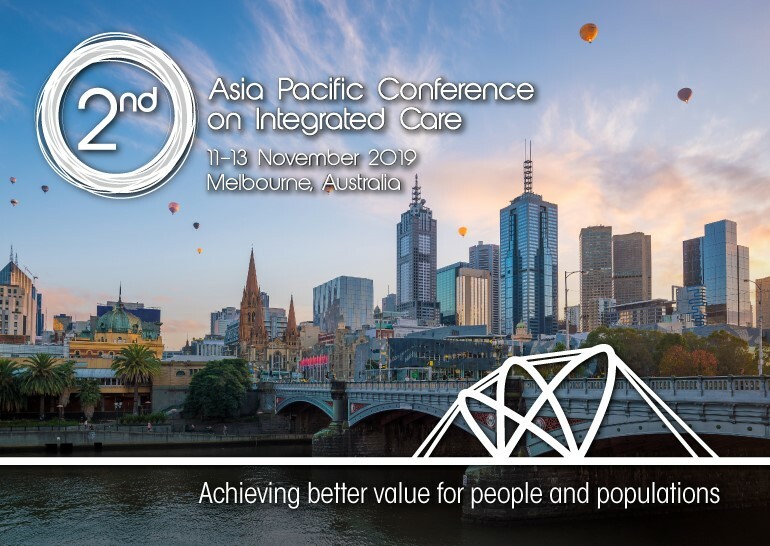 The core mission of IFIC Australia is to develop capacity and capabilities in Australia and the Asia Pacific Region in the design and delivery of integrated care. IFIC Australia seeks to achieve this by providing a platform to develop and exchange ideas and promote activities in the region in keeping with IFIC’s mission. IFIC Australia was founded in November 2015 as a Collaborative Centre between IFIC and the Centre for Rural and Remote Mental Health (CRRMH) at the University of Newcastle, NSW. 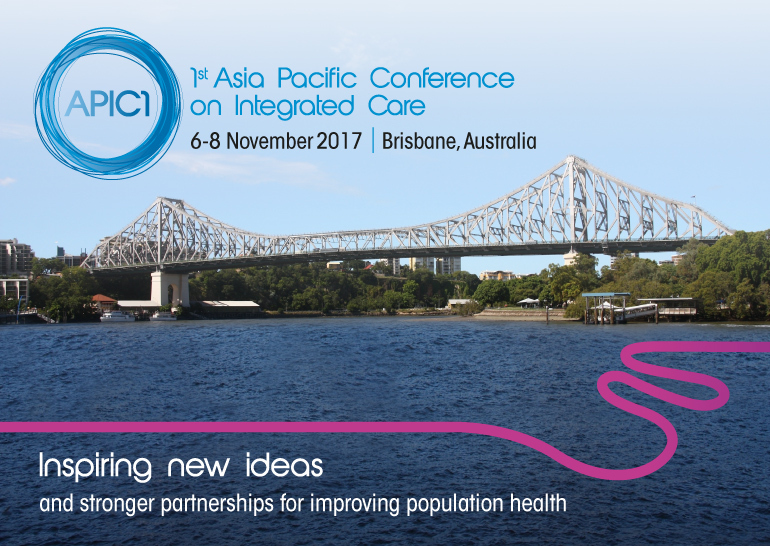 IFIC Australia has since supported a series of activities to promote and support integrated care in Australia and the Asia-Pacific Region. IFIC Australia is supported by the IFIC Australia Committee, comprising the organizing parties of the IFIC Australia Collaborating Centre together with its associates, Partners. These meetings will be supported by an appointed Chair (currently A/Professor Peter McGeorge, Consultant Psychiatrist, Universities NSW and Notre Dame) and will meet at least quarterly (face-to-face and/or remotely) to discuss and prioritize IFIC Australia’s areas of work. Since July 2017, IFIC Australia has sought to develop an inaugural group of partners to help take forward IFIC’s mission and aims across the Region on a more sustained basis. Our Partners have a mutual commitment to support the adoption of integrated care in policy and practice. 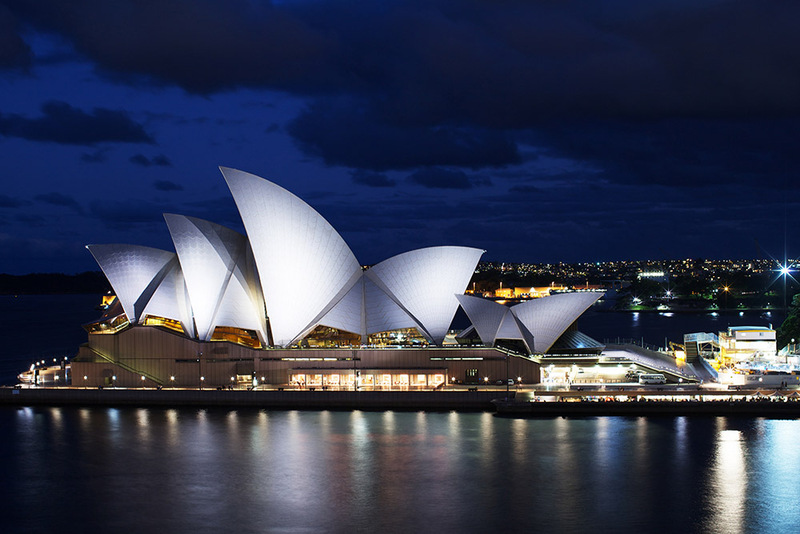 IFIC and its Partners work together to develop projects, educational activities or material of mutual benefit that meet the aims and objectives of IFIC Australia. South Western Sydney PHN is a not-for-profit, federally funded organisation dedicated to supporting general practitioners, practice nurses and other primary health providers to deliver the best possible care for their patients and to improve access to quality local health care for the whole community. We do this by supporting local clinicians; understanding the health care needs and service gaps in our community through planning and consultation; commissioning services to meet local needs; and by focusing on improving access to primary care services for patients, particularly those at risk of poor health outcomes. We deliver on our vision of enabling an effective, innovative and integrated health system in South Western Sydney by building and maintaining strong, long-term partnerships with key local stakeholders that inform robust planning and innovative, patient-centred service development. South Western Sydney LHD covers seven Local Government Areas from Bankstwon to Wingecarribee and has a population of approximately 966,000 people. The District is among the most rapidly growing populations in NSW and projected to grow to over more than 1.2 million people in the next decade. It is also a vibrant, culturally diverse region with almost a third of its population speaking a language other than English at home. The District also operates 14 major community health centres providing prevention, early intervention and community-based treatment, palliative care and rehabilitation services. Oral Health, Drug Health and Mental Health services are provided at a number of facilities across the District. Western Sydney Local Health District (WSLHD) serves the second largest and fastest growing population in NSW and is expected to reach around 1.2 million people by 2026. The population is culturally diverse, has one of the largest urban Aboriginal populations in NSW, and local communities range from socioeconomically advantaged to the most disadvantaged. The District is responsible for providing and managing the public health care services within its boundaries and is a leader in contemporary health care delivery. Services span general and specialist health care services, as well as statewide and national specialty services. Over 14,500 staff provide services across five teaching hospitals, an extensive network of community health centres and people’s homes and other community locations. Integrating health at a system, population and care level is a high priority for WSLHD. These priorities are clearly articulated in the WSLHD Health Services Plan to 2026 and the western Sydney Integrated Health Partnership Framework which has identified the following shared priorities: Aboriginal Health, Mental Health, chronic conditions, Family, Child and Youth and Older Persons Health. Robust relationships and partnerships have been formalised with a number of agencies including WentWest Primary Health Network (WWPHN), and a range of social policy agencies as part of Service Delivery Reform including Dept. Premiers and Cabinet, FACS, Education, Police. The Western Sydney Diabetes Alliance now has over 80 partners with a solid plan in turning round the Diabetes hotspot in western Sydney. The Western Sydney Integrated Care programs is a partnership alliance with WWPHN based on the quadruple aims and improving capacity of primary care to better manage chronic conditions. The Agency for Clinical Innovation (ACI) works with clinicians, consumers and managers to design and promote better healthcare for NSW. Our vision is “Better Healthcare: Better Outcomes” for patients and carers across NSW. The ACI works with Local Health Districts and Specialty Health Networks to support local service improvement and healthcare innovation projects. We provide expertise in service redesign and evaluation, specialist advice on healthcare innovation, initiatives including clinical guidelines and models of care, implementation support, knowledge sharing and continuous capability building. Our Clinical Networks, Institutes and Taskforces provide a unique forum for people to collaborate to develop successful healthcare innovations. By bringing together leaders from primary, community and acute care settings we create an environment and capability for innovation and redesign and promote an integrated health system. Join an ACI Clinical Network, Taskforce and Institute and share your knowledge and experience to improve healthcare. Knowledge partners have a commitment to standards of excellence in advancing the science, knowledge and the support to adopt integrated care in policy and practice. IFIC and its Knowledge Partners work together on specific special interest groups or research projects and help co-produce educational and training activities and/or support IFIC Australia’s conferences and events programme. The MRI-UQ Centre for Health System Reform and Integration brings together and develops the work of two Centres for Research Excellence; one on primary and secondary care integration, and the other on primary care quality, capacity building and governance. The new Centre will partner to research, evaluate and train in emerging areas of health system reform internationally. A recognised leader in paediatric healthcare, education and research, Children’s Health Queensland delivers a full range of clinical services, tertiary level care and health promotion programs, with the aim to place the child and family at the heart of all we do, working collaboratively with partners and the community to improve child and youth health outcomes. Children’s Health Queensland is dedicated to leading life-changing care for children and young people – for a healthier tomorrow. One of the primary roles of the Centre is to form an archive of knowledge and disseminate best national/international evidence to the North Coast health workforce. Peer review is an important mechanism for validating the decisions we make and when we celebrate the successes of others, we improve the quality of care for our own communities. The Centre embodies a number of programs and events. It brings a minimum of 20 international and national scholars each year to the North Coast and hosts a minimum 25 workshops, symposiums, site visits and pitch opportunities. It also offers a scholarship program for three study tours as part of its Champions for Advancement and Change Scholarship Program. Central Coast Local Health District (the District) provides public health services to the community of the Central Coast of NSW – a population of approximately 327,000 covering a geographic area 1,853 square kilometres. Since 2014, the District has been working with our regional partners towards a vision of integrating health and social care to ensure that our most vulnerable populations receive the care they need. There has been a strong focus on research and on developing approaches to integrated care. In partnership with IFIC and Flinders University, the District has developed the Integrated Care Search Engine to support the research of integrated care across the globe. Locally, IFIC has played a key role in supporting the development of integrated care on the Central Coast through the delivery of education, mentoring and program evaluation. The Australian Healthcare and Hospitals Association (AHHA) is Australia’s national peak body for public and not-for-profit hospitals and healthcare providers. Our vision is for a healthy Australia supported by the best possible healthcare system. Our membership includes state health departments, Local Hospital Networks and public hospitals, community health services, Primary Health Networks and primary healthcare providers, aged care providers, universities, individual health professionals and academics. As such, we are uniquely placed to be an independent, national voice for universal high-quality healthcare to benefit the whole community. Health Justice Australia is the national centre for health justice partnership, supporting collaborations between services to achieve better health and justice outcomes for vulnerable communities. Health Justice Australia supports the expansion and effectiveness of health justice partnerships through knowledge and its translation: developing evidence and translating that evidence into knowledge that is valued by practitioners, researchers, policy-makers and funders; building capability: supporting practitioners to work collaboratively, including through brokering, mentoring and facilitating partnerships; and driving systems change: connecting the experience of people coming through health justice partnerships, and their practitioners, with opportunities for lasting systems change through reforms to policy settings, service design and funding.